The start of a new calendar year is welcomed with parties, well-wishing and an eye toward new beginnings. But in the business and finance world, most people rang in 2019 fixated on endings. The business cycle, the bull market, home sales, price growth — so many economic indicators and financial models ended 2018 on a sour note. At the same time, the typical hallmarks of a coming recession, like unemployment rates, economic productivity, consumer spending and others, were strong as ever. Rather than reassure anxious minds, this constant stream and good and bad news has only generated confusion, not confidence. For the last year or more, the story of the United States economy could be told, convincingly, through one of two competing narratives: either a rising tide or a coming storm. But how well do either of those narratives hold up on a local level? 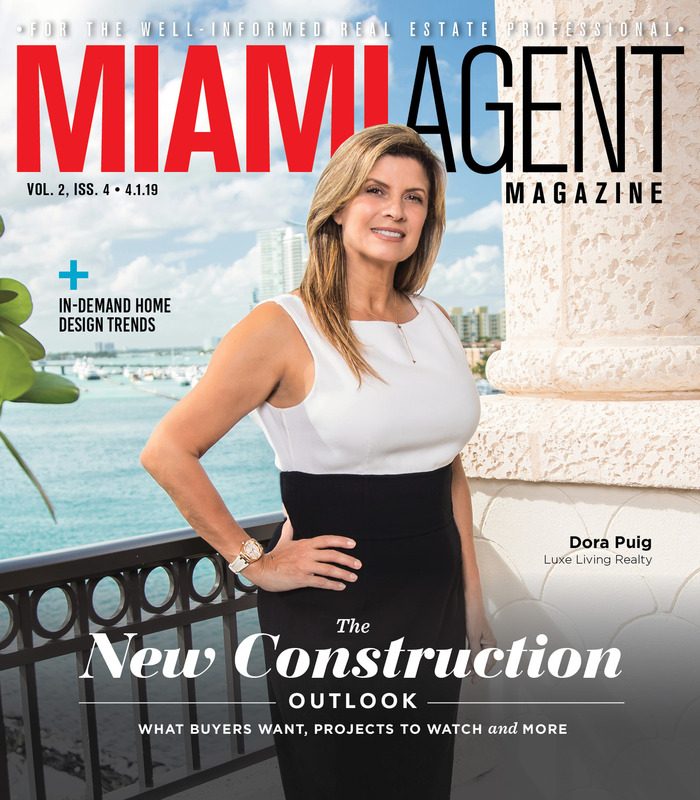 According to Jay Phillip Parker, CEO of Douglas Elliman Florida, a close examination of Miami might not give us a clear answer, but it doesn’t provide much reason for alarm either. From the perspective of real estate professionals in Miami and much of the rest of Florida, reports on the U.S. housing market’s decline are greatly exaggerated. While several of the biggest markets that fueled the post-recession real estate boom began to fizzle out near the end of 2018, Miami stood among the most glaring exceptions. In November, the same month that nationwide existing home sales posted their largest year-over-year decrease since 2015, the Florida Realtors association reported statewide sales were up 3 percent. In the Miami area, single-family sales grew by 6.7 percent, and condo sales increased 11.7 percent. While homes in some of the nation’s fastest-growing markets, like Las Vegas, were facing price cuts and more days on the market, Florida and Miami homes were selling faster even as the holiday season approached. In terms of residential construction, the story was similar: The U.S. overall was facing a building slowdown, but construction spending in Miami was up 36 percent year-to-date in November. From first-time homebuyer rates to population growth, the Sunshine State stood out from the pack in 2018, with Miami among its primary benefactors. Serving as CEO of Douglas Elliman’s outpost in Florida since 2013 gives Parker a good deal of perspective. Florida real estate has long been dominated by retirees and vacation home-buyers, but few cities in the state or the rest of the U.S. have evolved along a path quite like Miami has in the last decade. Parker pointed out that the city is now as economically mature as it is culturally diverse. In a shift from only a few years ago, more people are coming to Miami in search of their primary residence. International buyers are still a mainstay, but the new federal tax law has changed the calculus for real estate brokers yet again, making Miami even more financially attractive than other major cities especially at the high end. All of this makes it difficult to fit Miami into the national narrative on real estate in 2019. 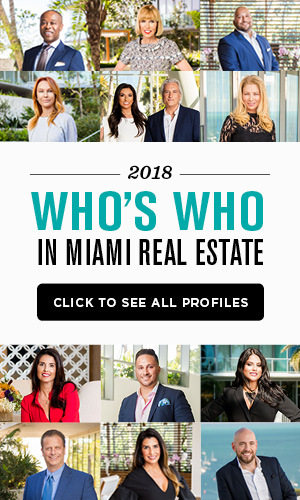 “I always joke about how close Miami is to the United States,” said Sladja Stantic, luxury broker for ONE Sotheby’s International Realty in Miami Beach. Of course, Miami is in the U.S., but with such a high degree of cultural diversity from one square mile to another, Stantic says it’s easy to forget it’s still American soil. That’s another major reason why Miami’s real estate market rarely mirrors the rest of the country. Stantic said she hasn’t seen a surge in buyer interest since the passage of the new federal tax law last year, but there was a slight uptick. Assuming the economy stays strong, though, she thinks that could easily change in 2019. Few sections of the greater Miami area have been left unadorned with a gleaming new high-rise or apartment complex. Foreign investment over the last few years has fueled Miami’s skyward growth, a trend that could continue even as economists warn of a global slowdown on the horizon. Two new luxury towers broke ground in Miami-Dade County in 2018, according to the Miami Herald — something of a slump compared to previous years. Still, three more high-end residential towers are slated to begin construction in 2019. Miami’s growth spurt is plain to see with the naked eye. However, there is still cause for concern lurking in the corners. Recent Census Bureau data shows that while the median household income in Miami-Dade County increased 9 percent between 2016 and 2017 (to $49,930), this number was still 7.5 percent lower than in 2007 after adjusting for inflation ($53,053). The county’s population increased by about 10 percent in that period, but the poverty rate climbed to 27 percent at the same time. From the perspective of some downtown Miami residents, the surge in development is only pushing people to the margins, and those margins are getting increasingly smaller. The spotlight of real estate development, and the conflicts that can arise from it, shined brightly on Little Havana recently. Just a few blocks from the new skyscrapers that now define Brickell, more builders are adding apartments, condos and offices catering to new, younger residents. For homeowners and renters who have inhabited Little Havana for years, this influx of development plays out in complicated ways. In one example, the Herald reported on the residents of a 16-unit condo building in Little Havana who collectively chose to sell their building for $5.2 million as trendy redevelopments began to encroach next door. Some of the tenants were happy to cash out, or at least take the opportunity to move somewhere quieter. But the situation speaks to broader concerns many have about Little Havana’s renters who rent are now facing rising rental costs, or who could be expelled if their apartment building is sold. Since founding Habitat Group in 2005, Vanegas has sought to promote sustainable real estate development in South Florida’s investor hotspots, including West Brickell and, more recently, Little Havana. Before coming to Miami in 2000, he studied economics at Universidad del Rosario in Colombia. Through a strategy that focuses on density and functionality, Vanegas said he sees plenty of room for new construction in Little Havana that doesn’t detract from the neighborhood’s history, not to mention its affordability. Habitat’s previous work in East Little Havana includes the redevelopment of two hotels, the Jefferson Hotel and the Historic Miami River Hotel. Vanegas said he hopes to build on the success of those projects as it works to develop more commercial and residential spaces to support Miami’s growing urban economy. Zoning restrictions are often cited among the primary obstacles for developers who want to focus on affordable housing in urban areas, and Miami is no exception. The pattern of development in Miami recently has emphasized downtown density, but this carries side effects. Traffic congestion is one of them, and Vanegas thinks this presents one of the easiest opportunities for zoning reform. Right now, new construction in Miami must meet a quota for parking space. To get that requirement reduced or eliminated, Vanegas said, developers have to petition city officials. “It should be the opposite,” he said. “Developers should almost get a bonus for reducing their parking requirements.” That way, the city could crack down on traffic that clogs arterial roads surrounding downtown. Several of Habitat’s projects, including the ongoing Smart Brickell complex, are designed to make the most of relatively small land parcels by building up and fitting neatly into the surroundings. Great article and balanced perspective on Miami as a complex market. I cannot think of another American city quite like it. A very compelling constellation of variables. 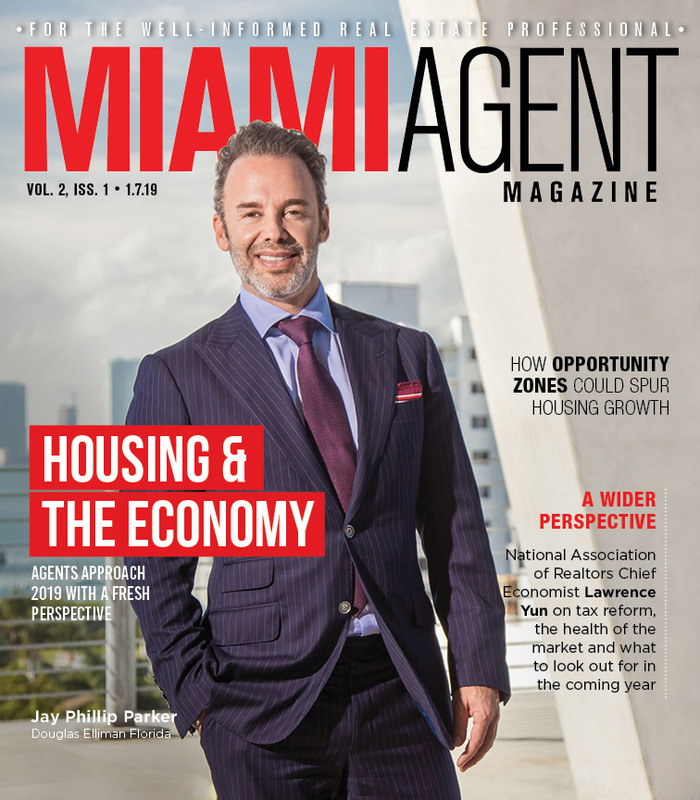 Several of the brokerage market reports I’ve read recently dig deep into Miami’s growth, and seem to justifiably forecast the potential for long-term expansion throughout South Florida.